Well, after feasting on Mexican food and indulging in multiple slices of coconut cake and lime tart over the past two days, I figured it was time to get back to reality. Luckily, reality can still be beautiful, delicious, and satisfying. Prepare all of the salad ingredients. 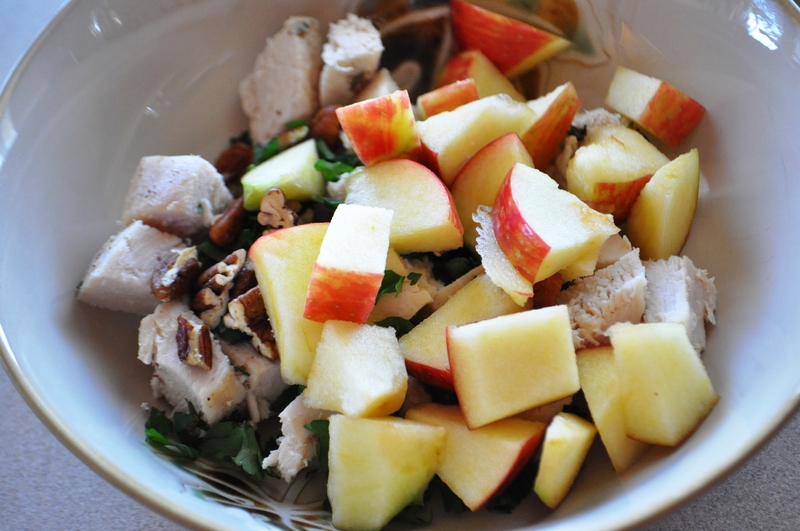 Place the parsley, chicken, apples, and pecans in a small bowl. 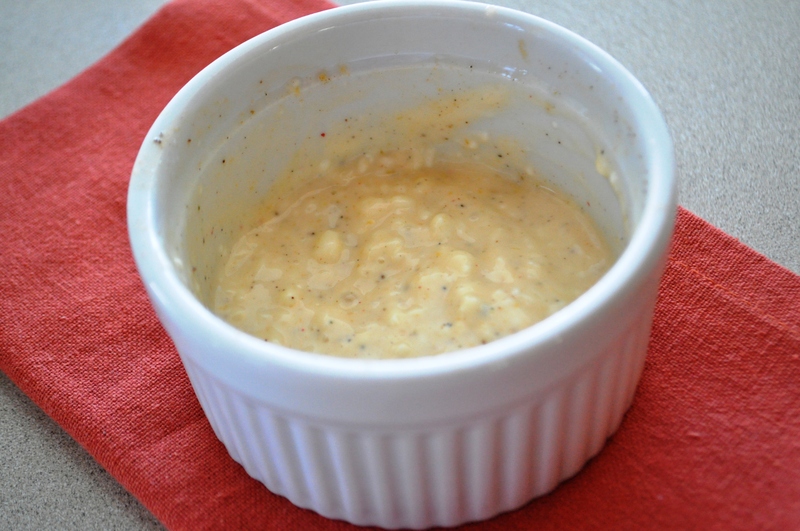 Add the dressing to the chicken bowl, stirring to coat. Place a bed of spinach on a pretty plate. 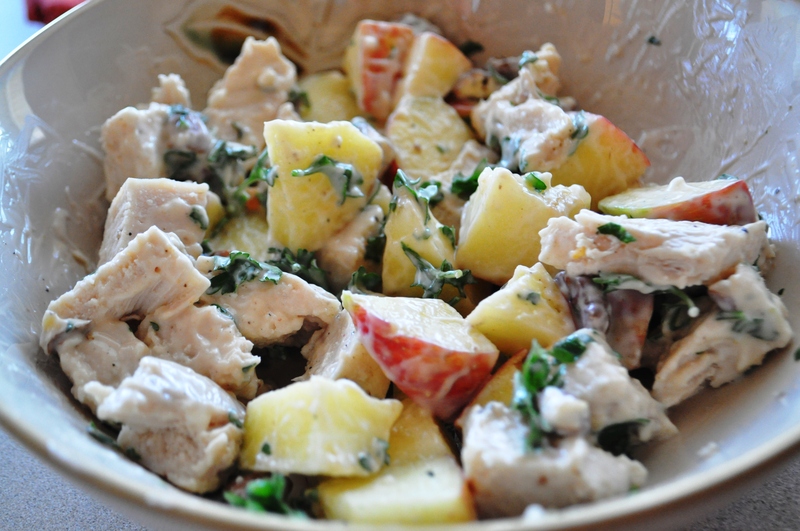 Add the chicken mixture. 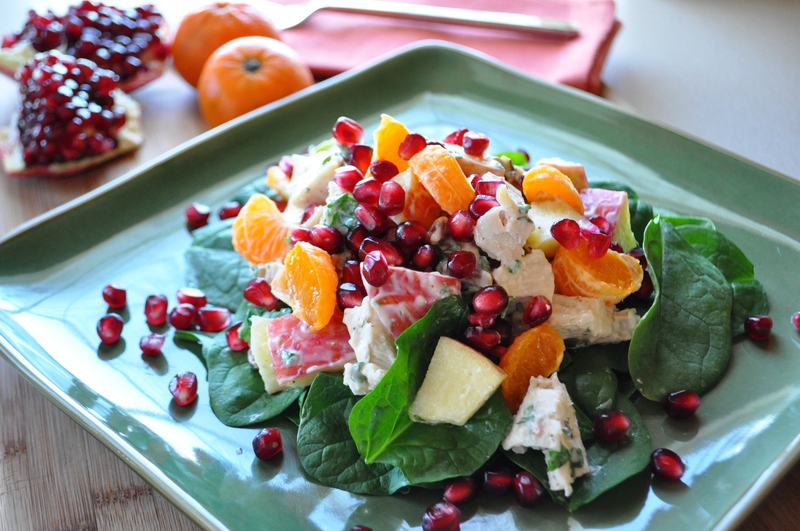 Top with the clementine sections and pomegranate seeds. 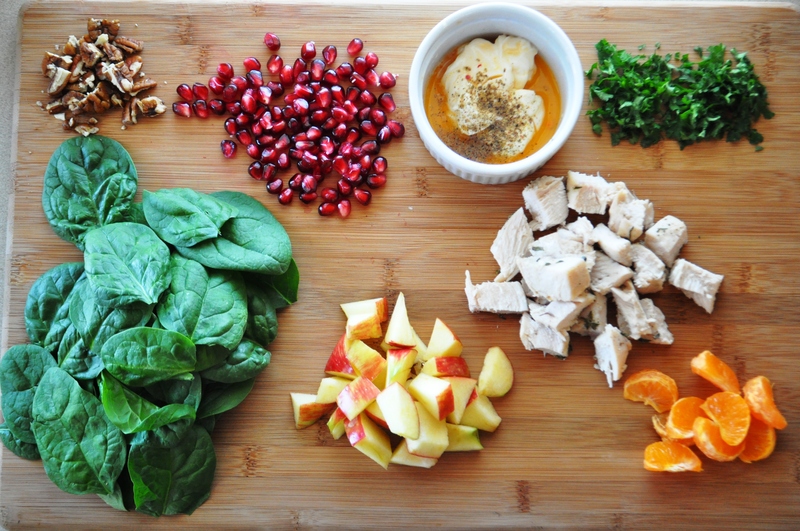 A perfect meal.. i eat something like this every day for lunch.. don’t you love the little salads? 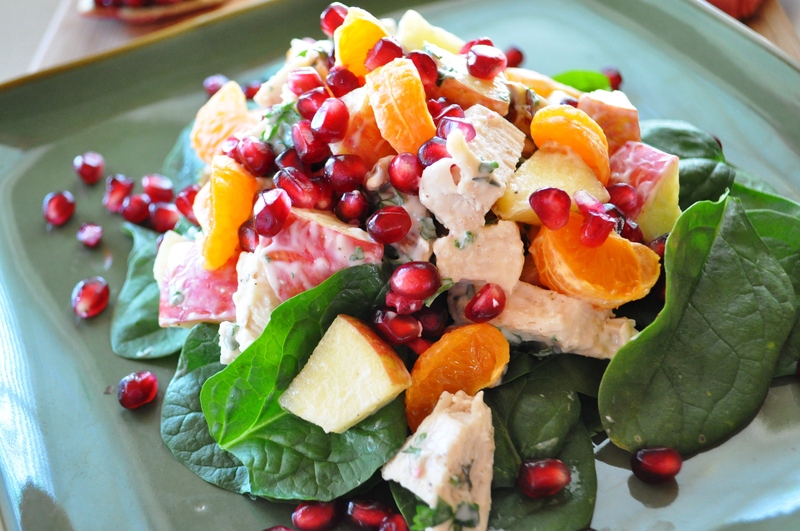 and those pomegranate seeds are a perfect complement! Thank you, and thank you again for stopping by! 🙂 The salad was quite good. So beautiful! And I bet it is delicious. 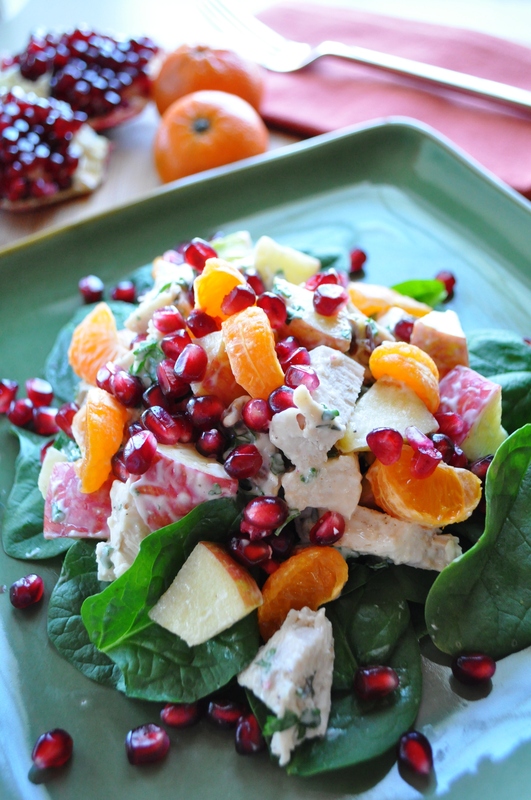 I love the clementine and pomegranate seeds. Great recipe!